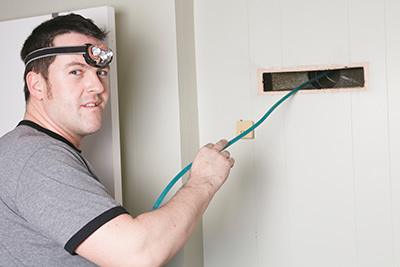 Did you know that most homes have never had their air ducts cleaned? Indoor air can be 70% more polluted than outside air. This is why Lone Star Carpet Care is proud to offer the next generation of air duct cleaning. Our state-of-the-art air duct cleaning equipment is equipped with an HD camera system that allows you to sit front row for the inspection and cleaning of your air ducts. Your air duct cleaning service includes the cleaning of your vent covers, air conditioner unit coils, blower, and return closet. During the air duct cleaning process, an antimicrobial solution is used to clean and sanitize the inside of your ventilation system, thus eliminating allergy causing bacteria, dust, and odors. When was the last time you had your air ducts cleaned? If the answer is "never", you're probably facing a significant health hazard. Air ducts aren't too far off from mattresses in this regard. We don't really see them often, but we inhale 'from them' for a significant portion of our day, each day, for a prolonged period of time. The two are also similar in their ability to attract dust and bacteria in the absence of proper and timely maintenance. But what are the actual health risks associated with unclean air ducts? Allergies, respiratory problems, coughing and even full-blown sickness – dirty air ducts can give a whole new meaning to the saying: "You need to get some fresh air." It's understandable why people rarely, if ever, clean their air ducts. It's not just a matter of them being out of sight – they're difficult to reach and practically impossible to take care of without the necessary equipment. Some air ducts are large enough for you to get inside them and do the cleaning (although this can be dangerous for your health without an appropriate mask), but the majority of them are too small for a person, meaning you have no way of removing the accumulation of filth inside. 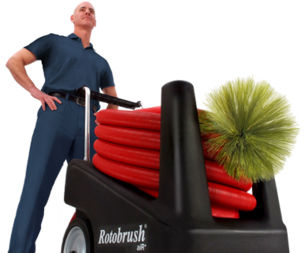 Air duct-cleaning equipment is an important part of the Lone Star Carpet Care arsenal. We wouldn't dream of underestimating the importance of clean air ducts, without a speck of dust, debris, grime, fungus or any other unwelcome additions to your ventilation system. While types of air ducts and their sizes in particular can vary greatly, we're fully equipped to make any duct squeaky clean. The ideal start to our cleaning process would be taking a look at the building's blueprints. There's no alternative to knowing the ducts' exact size and location, and there's always a chance we might miss a spot without access to these blueprints. Still, even if you can't procure them for us, we'll significantly improve the situation using our tools – our combination of vacuums, blowers and dry and wet brushes will improve the health of your entire family with a single excursion into the air tunnels. Generally, air ducts only need to be cleaned once every couple of years, excluding special circumstances. This is yet another reason why this cleaning job can slip people's minds until it is too late. When it's time to do the deed, however, you'll want it done right – any spots left untouched can translate to a serious health hazard. Forget about a DIY approach here – your health can't afford anyone other than seasoned professionals handling this task. If you've never cleaned your ducts in a period of 5-10 years or even longer, a look inside them might have you screaming in horror and running for the phone to call us. Your reaction wouldn't be over-the-top, either – what a filthy air duct can do to a person's health is frightening. Regardless of whether you're concerned about your home or your work environment, it's time you show you care about your health and the health of those around you – give us a call and we'll have you breathing clean air in no time. Do you or your family members suffer from allergies? Dust and other contaminates are actually pulled into your home and furnace system through the return air vent. 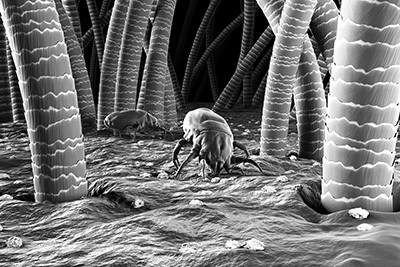 Once in your system, heat provides the perfect breeding ground for bacteria, mold, fungus, and dust mites. Do you have young children in your home? Children under the age of four years old are particularly susceptible to developing allergies and asthma, due to their immature immune systems. Asthma usually presents in children between birth and four years old. If children do not come in contact with asthma triggers by the age of four, their chances of developing asthma is greatly reduced. The San Antonio weather is unpredictable at best. If you have had water in your home due to a flood, you may have mold and mildew growth. Have you had remodeling or construction done in your home? If so, you may still have dust and debris inside your home. In fact, remodeling dust can circulate in your home for years. Air ducts are the perfect hiding places for rodents, bugs, and spiders. Air duct cleaning rids your home of the creepy crawly creatures who have been living (and dying) in your air ducts for years. Do you have pets inside your home? Pet fur gets caught in your vents and builds up -- giving germs, fungus, and mold a place to live and thrive. Do you dust and dust just to have the dust resettle? that's a sign that it's time to have your air ducts cleaned.